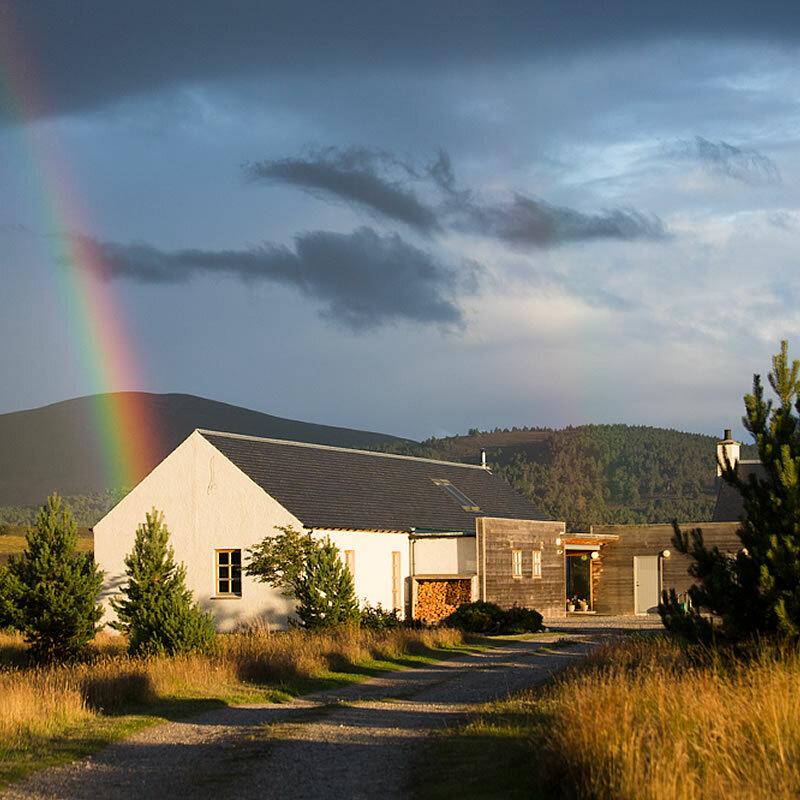 Dramatic contemporary spaces, in a tranquil rural setting overlooking the Cairngorm Mountains. A dream holiday home that will delight the most discerning of guests. 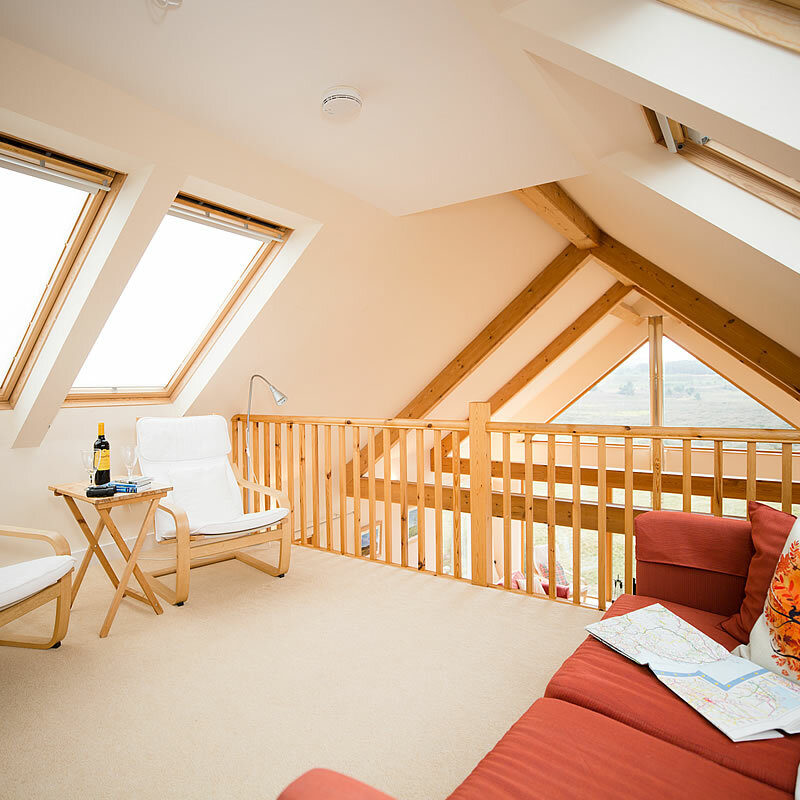 The lodge comfortably sleeps up to ten people in four bedrooms, two master suites each with en-suite shower rooms and underfloor heating. 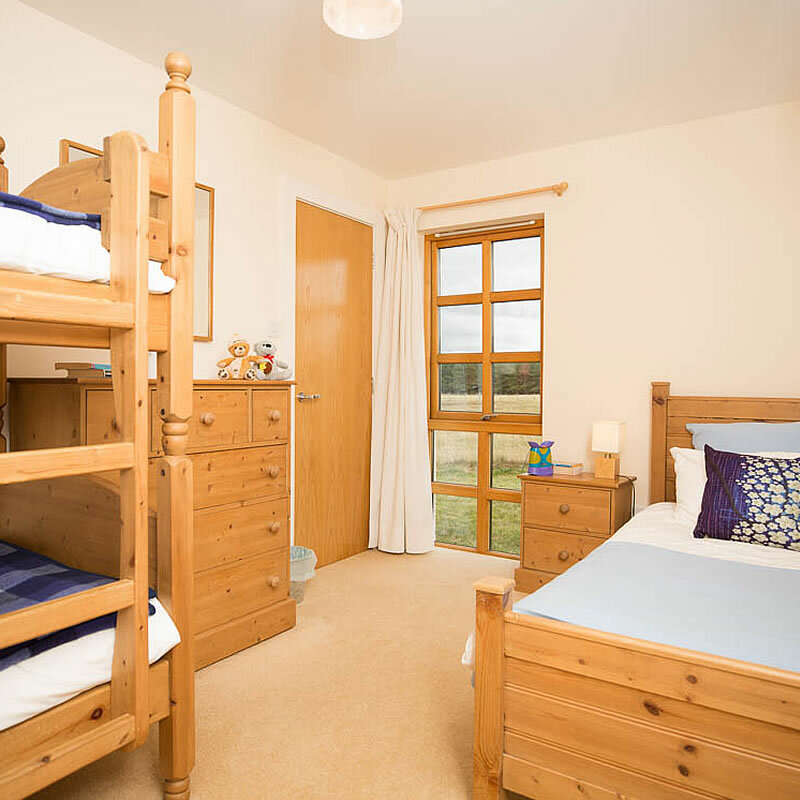 The two further bedrooms are furnished with full-size bunk beds and a single. Spacious open plan lounge, gallery sitting area, dining and kitchen area, utility room, sauna and whirlpool bath, large attic playroom with TV, PS2 and pool table, boot room, pay phone, garden area with BBQ. 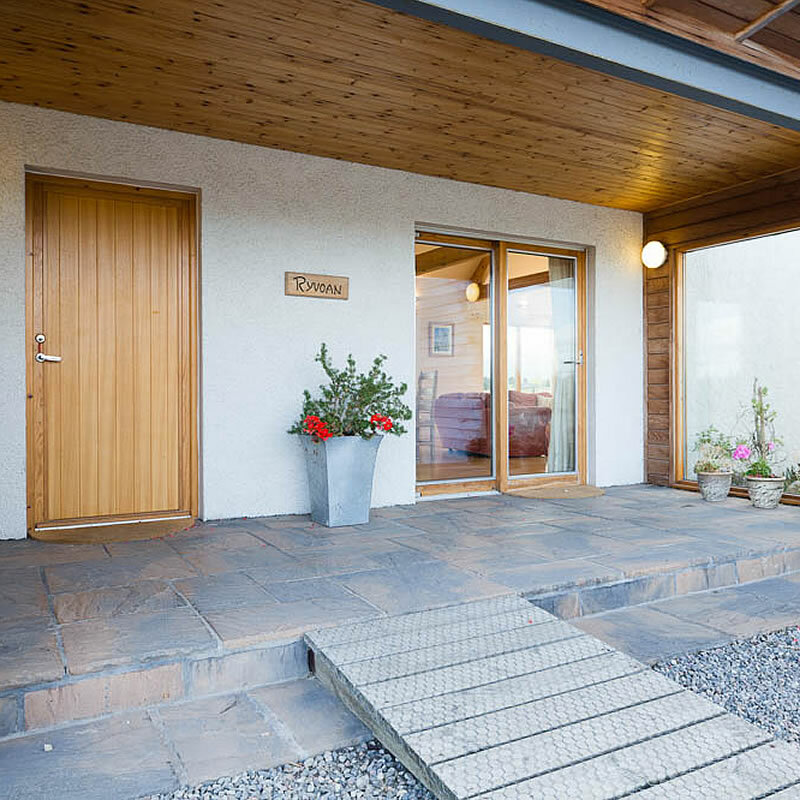 The Lodge is dog-friendly and DDA compliant. 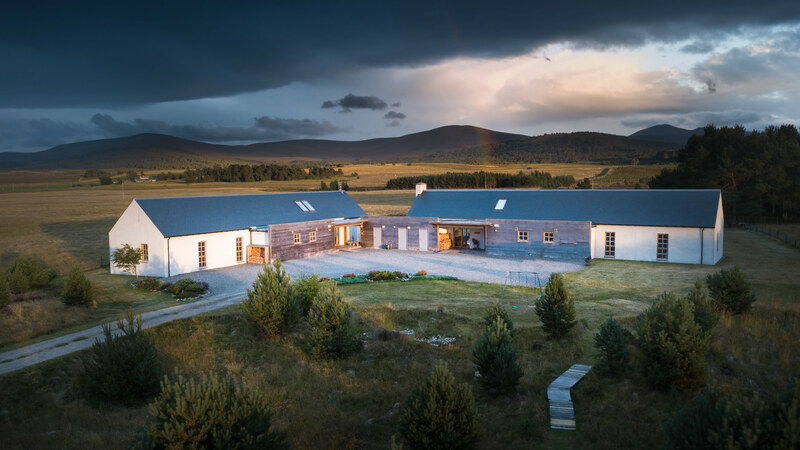 Nestled in the foothills of the Cairngorms the lodge is a fantastic base for a wide range of activities all year round. 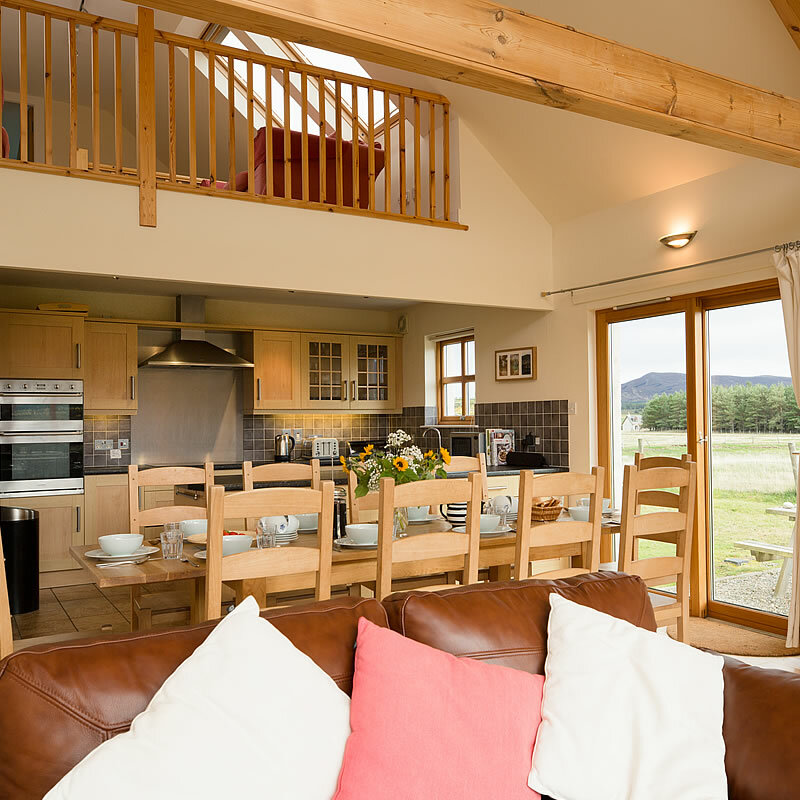 Relax and take in the uninterrupted panoramic views of the Cairngorm mountains from the sofa. Bunk beds and a games room equipt with pool table, PS2, DVD player, table football and a selection of fun family games. Dog friendly. 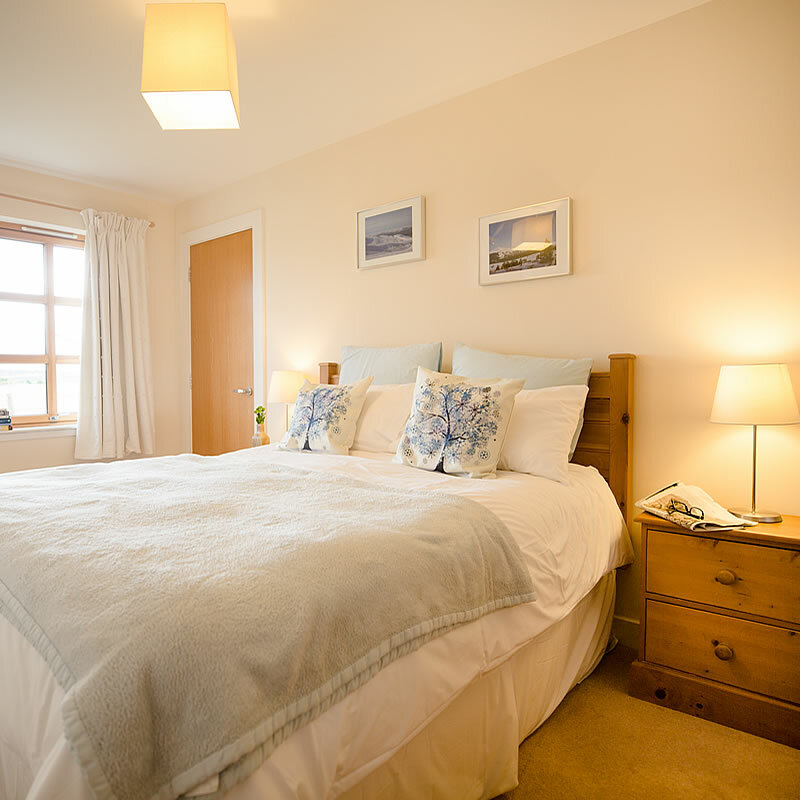 Woodburning stove, large leather sofas, widescreen TV, Sky, DVD, WiFi and a sauna and whirlpool bath. Fully DDA compliant. We have lots of space, a long drive and space for multiple cars right at the front door! A fantastic room to relax with friends and family. 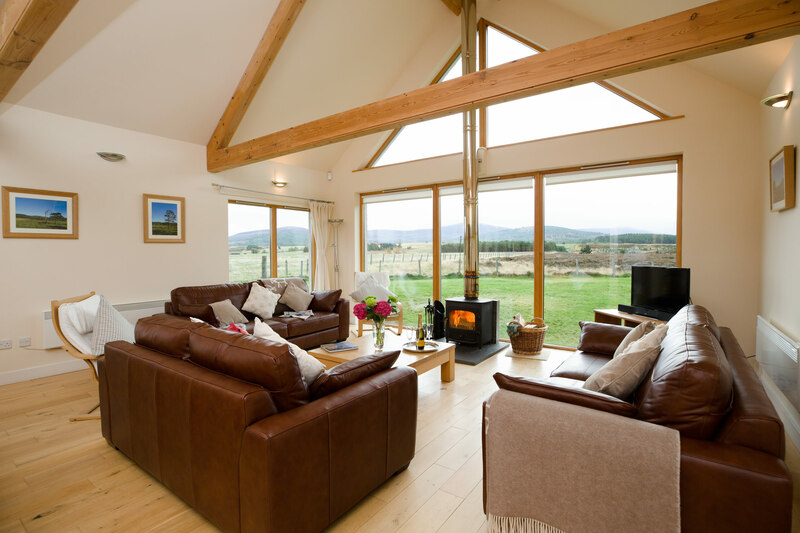 Keep warm with the wood burning stove and enjoy the most spectacular views from the comfort of the sofas. A contemporary kitchen with all the equipment you need to cook up a storm! BBQ just outside the kitchen door. A quiet and light space overlooking the living room. A perfect place to relax and enjoy a good book! 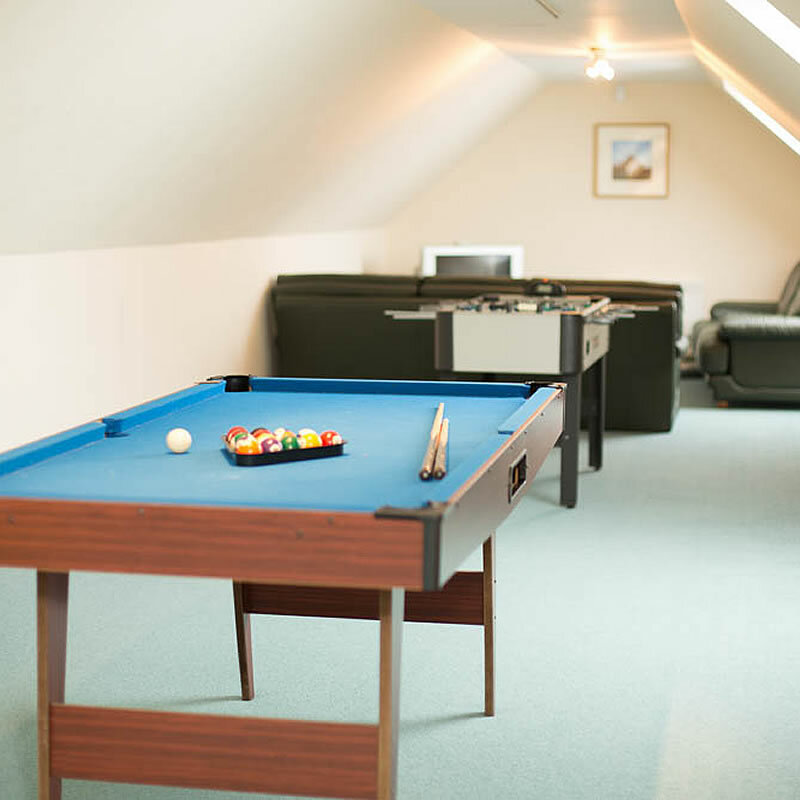 The games room in the attic space is perfect for kids (and big kids) to play pool or table football, or watch a DVD or play the PS2. 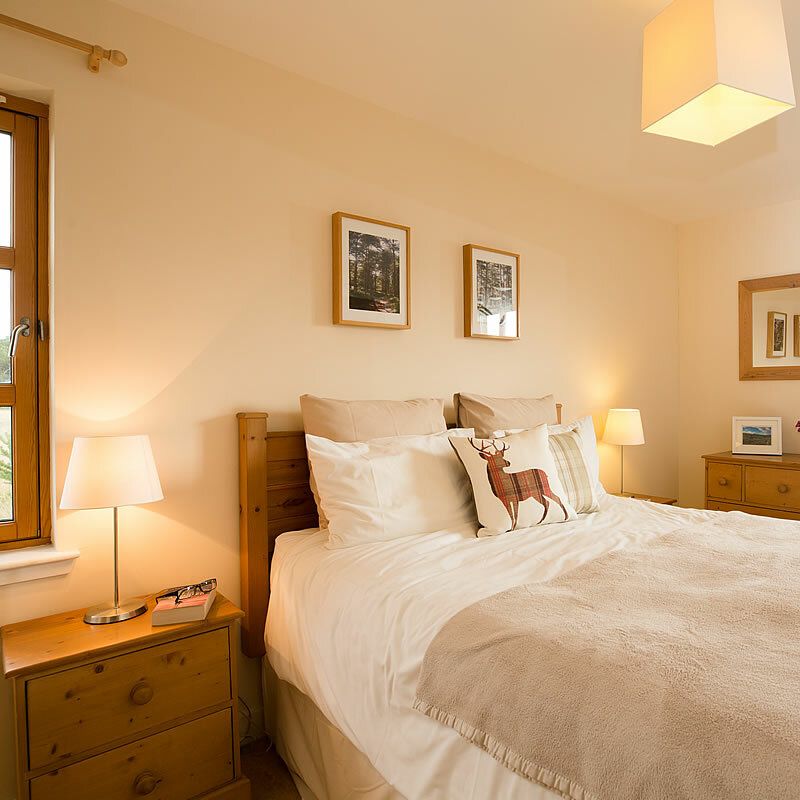 Two beautifully appointed master bedrooms with en-suites. Two further bedrooms, both with bunk beds and a single bed. Perfect for unwinding after a busy day. 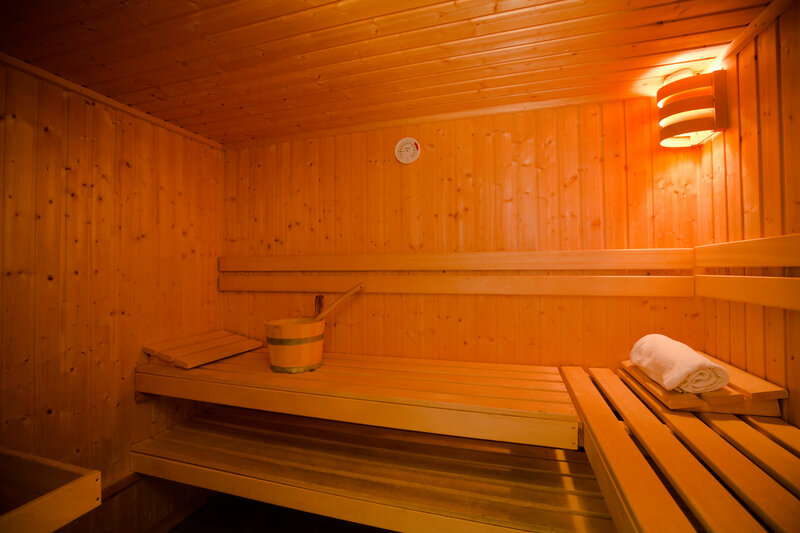 Your own private Sauna! 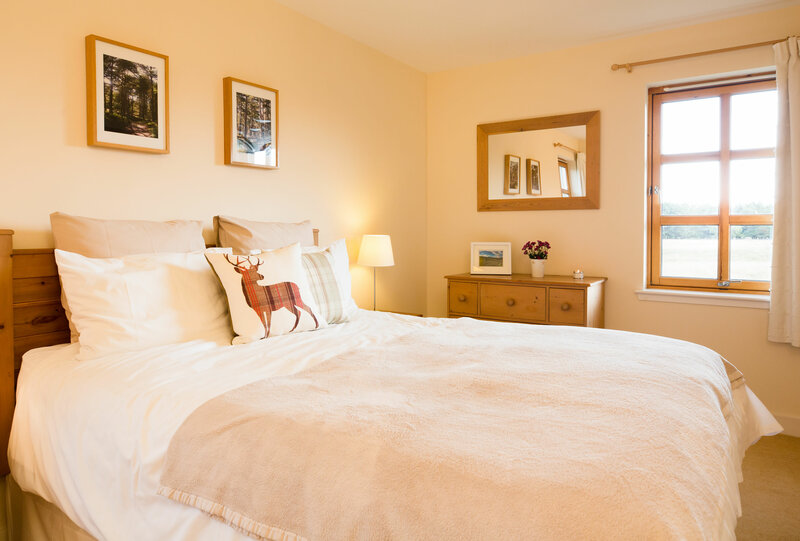 Our Lodge has everything you need including a boot room to leave your muddy boots and clothes after an active day and a utility room equipt with washing machine, dryer and clothes pulley. We have a large garden with swing, bike trail, outdoor furniture and a covered porch – suitable for bike storage. We have had a fabulous time, great base – big house for running children! Had a fabulous week – lovely views, lovely house, lovely peace and quiet! We enjoyed a relaxing and comfortable week at the Lodge, stunning views, great walks, lots to do in and around the area. Thank you. Fab fun week, we hope to be back! Alternatively use the form on the right to contact us.